It’s home- after a service. After many years, the record deck did not need that much work during the service. It had the usual replacement springs and grommits, but not much else was necessary. I have always looked after it. Sound Cynergy in Aldridge did a nice job, I’m listening as I write. In Hifi terms, the sound is sharper, more vivid and focussed. Perhaps I will feel encouraged to play more LPs in future instead of CDs. A lot of modern releases are on heavy, good quality vinyl. But view cost more, often £20 for a single album. 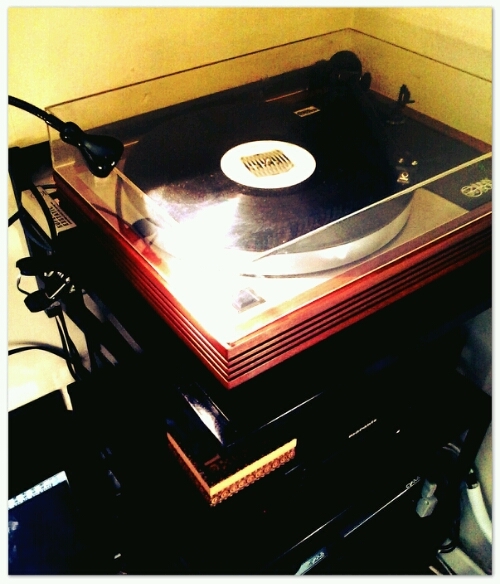 This entry was posted in Home, Music and tagged hifi, Linn Sondek, LP12. Bookmark the permalink.